We love the fired arts - pottery, glass and clay. Everyone is an artist. Unleash your inner artist with us. 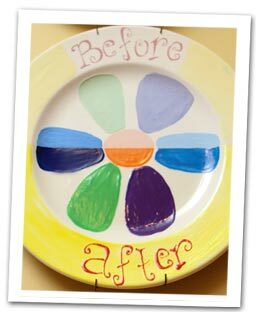 At All Fired Up, we have a variety of art projects that are sure to spark your creativity. We provide paints, brushes, helpful assistance, so all you have to do is pick your pottery, pick your paint colors and get all fired up! No experience, appointments, or classes necessary–just walk right in! From small figurines to large serving platters, we have an extensive selection of unfinished pottery – our version of the blank canvas. Come choose a piece of bisque and start painting today! Create colorful dishes, serving platters and more with glass fusing. This unique artistic method allows you to embellish glassware with patterns and personalized designs! Sculpt clay by hand or using the Wheel with one of All Fired Up’s Wet Clay Studio sessions. Pottery making is fun and enjoyable for all age groups!